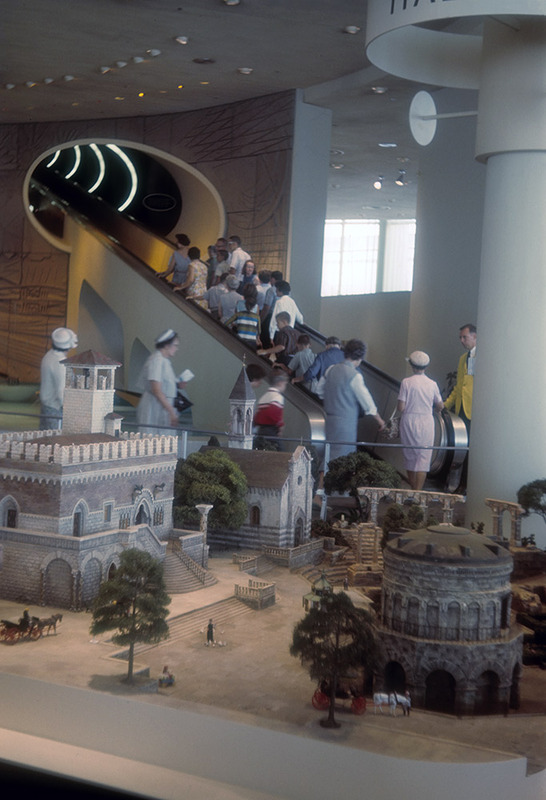 Lucky guests at Ford ride the escalator up from the International Gardens. Convertibles and dinosaurs await them! July 1964.